Don't miss the fun. See what this spectacular collection has to offer, May 18th- 26th! CARMEL, Ind.--(BUSINESS WIRE)-- Dubbed as one of Money Magazine's best places to live, Carmel, Indiana, now boasts another reason to make it your hometown. This month, Ryland Homes' newest community at Legacy in Carmel will have its Grand Opening featuring homes from the all new, beautifully designed Architectural Collection. The celebration of these spectacular single-family homes begins Saturday, May 18th and continues through Sunday, May 26th. Delicious food and fun giveaways await, as visitors tour the community and this stunning home collection. Unique character. Diverse features. Convenient location. The Architectural Collection by Ryland Homes exudes classic beauty on the outside of the home with Craftsman, Italianate, Tudor and Greek Revival styles. A wide array of bricks, sidings and stone options bring distinction to each Legacy home. Inside each plan offers modern flexibility with open kitchens and living areas that bring fluidity to the home. At the center of each home, the kitchen works to connect dining areas and other rooms through a signature kitchen island. A family foyer boasts extra closet storage, and strategically designed built-in desks make life simpler. The collection features a second-floor bonus room, private owner's suite and walk-in shower. Every home also enjoys upgraded front and garage doors, a basement and an oversized garage space. 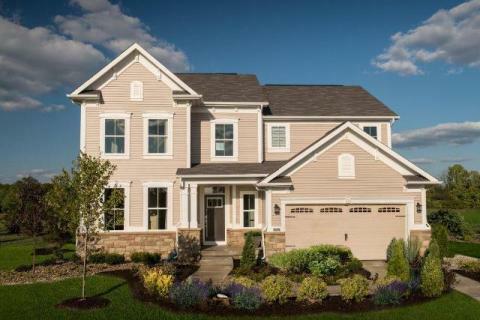 Legacy is surrounded by east Carmel's most traveled destinations-dining, shopping, entertainment and schools, making it convenient to get to wherever your life may lead. The Legacy entrance is located off of 146th St. (1/4-mile west of River Rd.). Turn onto Community Dr. and follow the Ryland Homes signs through the community. The model will be on the right. For over 45 years, homebuyers have trusted Ryland Homes for truly livable designs and a commitment to complete satisfaction. With a dedication to building homes that are energy-efficient and a better value to customers, as well as a national strength rooted in local focus, Ryland Homes prides itself on a day-to-day commitment to the customer. For more information, please contact Diane Morrison, Vice President of Sales & Marketing, at dmorriso@ryland.com. The article Announcing the Grand Opening of the Architectural Collection at Legacy in Carmel by Ryland Homes originally appeared on Fool.com.